An award-winning wine blog dedicated to celebrating everyday wine culture and helping you find delicious, varied wines from all over the world that are good value, interesting to drink, pair well with food, and are (mostly) under $20. Looking for something particular, like a Cabernet that won't break the bank or sparkling wine from Spain? Scroll down to the Topic Index in the left sidebar to locate wines by variety, region, or price. 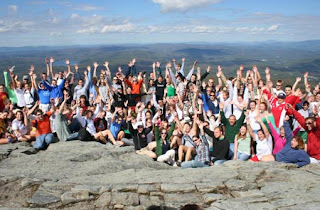 Now I get to have grown-up Mountain Day with wine--thanks to the Russ the Winehiker. He's our host for Wine Blogging Wednesday #50, and he is asking the following question: which wine would you pour in the Great Outdoors? According to Russ, "You get bonus points for choosing a wine that is made locally to you, double bonus points for sharing the name of the wilderness you would walk in, triple bonus points for sharing the name of the trailhead and how to get there, and a gazillion bonus points for actually walking that trail, enjoying your selected wine on a post-hike picnic, and describing your day of outdoor adventure for your readers." Post your ideas on October 8, and leave Russ a comment once you've posted with a link to your blog. See you back here in a few weeks to tell you which wine I'd pack for some post-hike refreshment. Remember Wine Blogging Wednesday 47--the one brought to you by the letter "S"? Today I've got a wine for you that's brought to you by the letter "B." This was one of those wines you pick up and it's unexpectedly fantastic. When I finished it, I couldn't help thinking that it was a great candidate for all around house white with its blend of viognier, semillon, and chardonnay. Depending on what food you pair with it, different nuances will be picked out in the wine. We had it with Jamaican Jerk marinated tuna that I flung on the grill and served with some mango-rice, and it behaved like a Gewurztraminer--all spicy with tropical fruit flavors. When it comes to the aromas,they are very typical of both Semillon and Chardonnay with scents of Golden Delicous apple and pear. Then you get a faint whiff of peach from the Viognier. Because of the combination of medium- and full-bodied grapes that go into this wine, it feels soft and round in your mouth with flavors of white nectarine, peach, and apple. The wine has a very juicy, almost lip-smacking finish, so it's a good thing it's such an versatile excellent QPR option when you are looking for a white wine to stand up to fall's richer, heavier meals. This is one of the most interesting white wines I've had in a long time--probably because it's a blend, and therefore has a little multiple personality thing going on. But I really recommend it for just that reason--with few exceptions, this wine will go with everything on your dinner table. And don't be surprised if it turns up in my list of Thanksgiving wine picks for just that reason. Is it the falling stock market? But I'm drinking Beaujolais these days. Click over to my Serious Grape column on Serious Eats to see which wine I opened up earlier this week. When your stock portfolio and retirement accounts are in dire straits, having great value go-to wines is all the more important. If you've got other grapes and regions that make you feel bullish, let us know in the comments below. I just watched the first episode of the new PBS series Spain--On the Road Again. Can somebody please book me a ticket to Madrid ASAP? I miss it, and I was only there a few months ago. 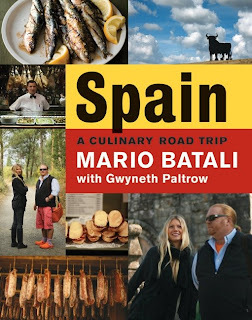 The concept behind the series was that Mario Batali and Mark Bittman decided to eat their way through Spain. Then Gwyneth Paltrow decided to join the roadtrip. On the philosophy that three was a difficult number, they invited Spanish actress Claudia Bassols to join the crew. The result, if the first episode is any indication, is a wonderful glimpse into the sights, sounds, smells, and--most importantly--taste of Spain. Their gastronomic journey through Spain shows how seriously the Spanish take their food and their wine, and it's a fabulous introduction to the connections between what Spaniards eat and the land and regional traditions of this country. Don't watch it if you're hungry or thirsty, though. I got through the episode with some olives, Spanish chorizo, and a chunk of Manchego, all washed down with the last of my Twisted Oak River of Skulls Mourvedre. But most important, don't miss any of this series. You will soon be able to get the companion book, but until then visit their website and blog, set your DVRs to record the latest episode, and check out the recipes. Get some Spanish wine into the house, and sit back and treat yourself to some armchair travel during the next few weeks. Full disclosure: watching this program may make you homesick for Spain, even if you haven't been there yet. Viewer discretion is advised. I've started a new, grown-up Halloween tradition. I took a tasty journey down the River of Skulls, the latest special bottling from Twisted Oak. Yes, that's the label. See why it's perfect for Halloween? 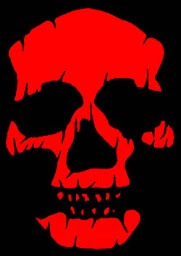 The 2006 Twisted Oak River of Skulls is made from 90% Mourvedre and 10% Syrah. If you've found Mourvedre to be dusty and muddy in its flavors and texture, you clearly haven't tried this wine. This is a big red that's surprisingly light on its feet. It starts out with a bright ruby color. 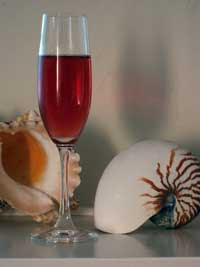 When you swirl it in the glass and then sip it, you will find it has a decadent, silky texture. I smelled cherry jam, cinnamon and baking spice--which gives it a very autumnal feeling. The flavors reminded me of cherry pie, allspice, and clove. Then I got a deliciously dark and smoky aftertaste that is in beautiful balance with all the fruit. But the best thing about this wine is the gorgeous, lip-smacking acidity. This is a wine with structure, and has the acidity that will make it age nicely over the next three to five years. If you can resist its considerable young charms right now, that is. Excellent QPR, even though it's a bit more than you might be used to spending on Mourvedre at around $35. But I can say without hesitation that it is also the best Mourvedre I've ever had, so it's well worth its price tag. What to have with your River of Skulls? I tried a dish that is fast, and can reasonably fit a Halloween theme: a whole wheat spaghetti dish sauced with a lamb and cumin-spiked tomato version of the more traditional Spaghetti Bolognese. This pasta was robust, nutty, and aromatic--and therefore the perfect pairing for this bright, well-structured wine. The wine helped to keep the dusty cumin taste from getting to heavy, and the wine's acidity made it an ideal partner for the tomatoes. And Mourvedre and lamb is a match made in heaven. Try it when you get home from taking your kids trick-or-treating, or make a big batch and have your friends over for some River of Skulls and bowls of pasta to celebrate the night when witches and ghosts come out to frolic. I received this bottle as a sample. If you want some, head over to the Twisted Oak website immediately and sign up for the allocation since there is limited availability due to the small number of cases produced. It will set you back between $28 (if you're in the Twisted Few wine club) and $35 a bottle (the regular price). As allocations go, this is a reasonable splurge. I'd suggest buying it in multiples now, while you can, so that you can have some this Halloween, and the next, and the next. I'm going to be really interested to see how this wine ages. Why should the kids have all the fun? This is way better than a Twix bar. Trust me. At the time, I thought it was highly unlikely that the taste of the grapes would be affected by the smoke. It looks like I may be wrong. In a story in the Santa Rosa Press Democrat, Kevin McCallum reports that growers are worrying because their fruit is giving off unusual odors. 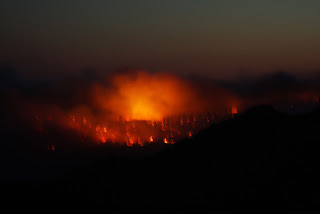 Scientists are currently analyzing the juice from Mendocino grapes to test for smoke taint. There is some concern that even low levels of smoke taint in the grapes will be amplified in the flavors during fermentation. 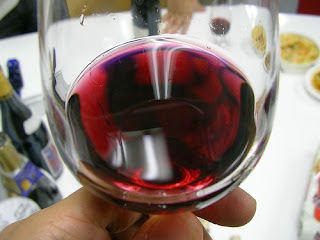 While winemakers can use all kind of sophisticated filtering to get rid of some of the undesirable flavors out of the wine, at this point no one is clear about the extent of the problem or what--if anything--to do about it. One of the questions I have is about how our famously subjective tastebuds will factor into this developing situation. Are some people going to taste smoke when they taste 2008 Mendocino and Anderson Valley wines? Will these tasters be in the majority? Or, like cork taint, will smoke be something that many tasters can't even detect in the wines? It's too early to tell at this point. What I know for sure is that there's not much that will keep me away from continuing to buy North Coast and Mendocino favorites from vineyards like Navarro (which was only a mile and a half from some of the worst fires this summer). If anyone has any thoughts on this issue from a scientific, tastebud, or environmental perspective, please share them. I'm still kind of amazed that the grapes weren't able to flush any smoke that got into their tissues back out again over the course of the growing season. Sometimes, you just don't know what to think of a wine. When you think "southern Italian white" maybe you think Chardonnay from Sicily. Maybe you think of a more acidic white made to be sipped with seafood fresh from the Mediterranean. Here's what you're probably not thinking: a blend of Muller Thurgau and Gewurztraminer. From northern Italy--yes. 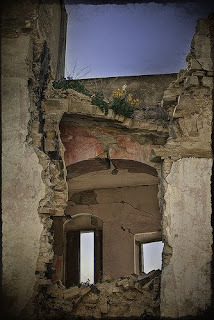 From Basilicata? No. Muller Thurgau is one of the "new" grape varieties that was created in the 19th century after phylloxera devastated European grape stocks. It's a cross between Riesling and Silvaner, and as a result it has some of the qualities associated with many wines from Germany and Alsace: good fruit, a flavor profile that can fit anywhere from dry to sweet, and nice acidity. Mix it with some spicy, aromatic Gewurztraminer, and you've got a wine that's big on fruit with a distinctive character. The only analogy I can make to the 2005 Re Manfredi is that its not unlike a dry Sauternes. ($16.99, Biondivino; between $16 and $28 from other merchants) Made from grapes grown on Monte Vulture, Basilicata's famously extinct volcano, the vines are tucked in around more widely populated Aglianico vines that produce the region's distinctive red wines. The Muller Thurgau seems to like the volcanic soil, and the warm temperatures and marine influence help to shape a wine that smelled deliciously of cocounut, pineapple, and spice. When you sipped the wine, you were bowled over by tropical fruit flavors that had a lot of acidity (so think starfruit, pineapple, and slightly under-ripe papaya). There was a juicy, pineapple-inflected finish and notes of stone and iron. Unlike Sauternes, this wine is medium-bodied so it's not as mouth-coating, nor is it as sweet. If you serve it straight from the fridge the sweetness is actually emphasized, so I would recommend letting this wine come up a bit in temperature so that you can really enjoy the aromas and flavors. As you can imagine, this wine is a honey with spicy food--and would be especially delicious with Indian food, since its medium body would stand up to dishes made with coconut milk (like South Indian curries). We enjoyed it with some homemade Kung Po Chicken that really went well with the tropical fruit flavors. And the spice in the dish was very nice with the spicy notes that the Gewurztraminer brings to the wine. No matter how much you know about wine, there's always a surprise around the corner. And I love when a bottle of wine's flavors are unexpected--in a good way. Sometimes, when it comes to picking out a week's menus and the wines to go with them, I can't get inspired. That was before I joined up with Serious Eats. Today in my column Serious Grape over on Serious Eats, I highlight seven inspiring recipes posted on their website and discuss the wines I'd pair with them. 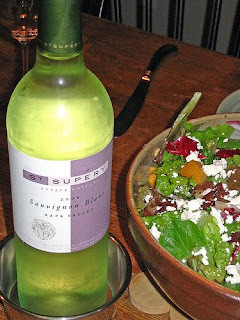 There are no specific bottles recommended there--just the type of wine--so if you are looking for specific labels once you've decided that you have to make those Thai Beef Rolls with Sweet Chili Sauce or the Panzanella Salad, you can always head back here and look for my latest picks. You'll find that the recipes are all pretty easy, take advantage of the fresh foods in the markets now, and will get you out of whatever wine and food slump you may find yourself in. The best part? You can even subscribe to the Serious Eats recipe feed and get a stream of tasty treats in your reader to keep your creativity keen. Have a great weekend--and see you back here on Monday. Wine Blogging Wednesday #49: End of an Era? Today's Wine Blogging Wednesday is hosted by dhonig of the wine blog 2 Days per Bottle. A Renaissance man, dhonig is part wine blogger, part cartoon artist, and part political commentator--and that's not all. But for this month, all we need to know is that he's our leader for Wine Blogging Wednesday. For his theme he's asked wine bloggers to consider the following: "What will you drink to toast the end of the Bush era?" There were a number of ways to go with this one, and dhonig suggested several different angles in his announcement. But I decided to select a wine that that is suitable not only for this election day and inauguration, but for every subsequent election day and inauguration: the 2005 Great Whatsit Stolpman Vineyards Syrah brought to you by the good people at domaine547 ($20 on introductory special from domaine547; normally priced $25). Let me explain why this wine was my choice for WBW #49 before I tell you about the wine. Every four years I sit in front of a television, alone or with friends, and watch the election returns. Often, my candidate does not win. I am always shocked and somewhat horrified when this is the case, and then go through several months if not years of depression watching the news and wondering how people could have made such a colossal error. Then, I remember that this is the entire point of this little experiment in self-governance we call America. My family has been here a long time; a really long time. If you shake my family tree out will fall people persecuted for their religious beliefs, outlaws, rebels, poets, harborers of men who had executed a king, and heroic women who managed hardscrabble farms and families of eleven in the boondocks of Massachusetts and Connecticut in January while their husbands went off to fight in this war or that war before there was text-messaging or running water. What they all lived and died for was their unshakable belief in the self-evident right of people to make their own bad decisions. Bottom line is this: we never know what will happen on election day, or whether the person the majority of Americans have or have not voted into office will be an utter disaster. It's a mystery. Every election day we're left opening Pandora's Box and facing the great unkown. Who will it be? What will they bring? We never know. And that's why I chose this wine. The 2005 Great Whatsit Syrah is a wine selected by domaine547 and made from fruit grown at Stolpman Vineyards. 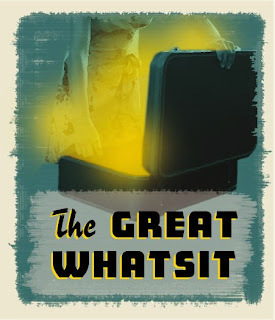 You can click here to find out why domaine547 called their "mystery in a bottle" wine The Great Whatsit. Kudos to domaine547 for selecting this excellent QPR wine for us ! The 2005 vintage is a little bit red (state) and a little bit blue (state) in its appearance: i.e. it's dark purple. This wine is as smooth as Barack Obama's prose, and as spunky as a hockey mom or pit bull wearing lipstick (your choice).There were aromas smoky enough to fill any room in Washington, and some rich plum and spice notes, too. I loved its cinnamon-inflected spiciness and its warm fruit flavors of blackberry, black cherry, and black plum. The wine had a nice lift as it went over your tongue, which was almost enough to lift your spirits as we head into the final 40 odd days of the campaign. I think the wine will continue to mellow out over the next 1-3 years, or until the next presidential campaign begins (which could be as early as February). Even now it's plummy and drinkable, and perfect for pairing with burgers, bbq, or even a pizza while you watch the election returns. 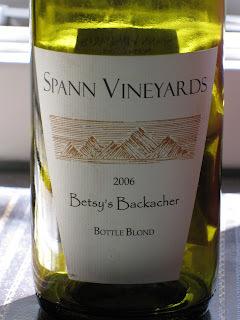 I loved this wine's complexity, its drinkability, and its clever packaging. If you're having an election party, what better wine to serve to your guests as you await the outcome? Thanks also to dhonig for an excellent theme to get us thinking about wine and politics. And if you're still thinking about wine and politics, don't forget to join us for the 5th edition of the Wine Book Club in late October. MEANWHILE: GO OUT AND LEARN ABOUT THE ISSUES. THEN GO OUT AND VOTE. 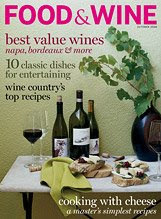 Every year, Food and Wine Magazine has an issue devoted to wine (and the food that goes with it). I look forward to the issue hitting my mailbox, and the October wine issue just arrived. For those of you without subscriptions, I highly recommend picking it up at the grocery store or your news-stand. It's chock-full of great articles, food pairing suggestions, and wine tips. I loved the article on the "Best Paris Wine Bars" and Polly Evans' story of her lunch with Paolo Marzotto, who brought Santa Margherita Pinot Grigio to these shores and is now promoting Sicilian wine. Ray Isle rounds up 50+ Values from Legendary Wine Regions, which is sure to make GWU$20 readers happy with its picks for value wines from Bordeaux, Napa Valley, and other popular viticultural areas. This month's magazine is packed full of little jewels--about counterfeit wines, investment wines, and more--and of course has lots of great recipes and thoughtful pairings. Check this issue out if you are a wine lover, and definitely buy it if your interests run to wine and food. I think that Ray Isle, Lettie Teague, and the other folks who cover wine for the magazine are some of the best in the business. It's September, and though summer is an increasingly distant memory for most of us, I'm still hooked on rosé. Thought of as a summer quaffer, the thing that makes rosé perfect for your dinner table regardless of the season is that it's a terrific food wine. It lightens up spicy pasta with red sauce and sausage. It's glorious with tuna and salmon. It's fantastic with turkey, and roast chickens with rosemary and garlic. The 2005 Vinroc Caves Enjoie is a gutsy rosé made with Grenache and Barbera. (I received this wine as a sample; you can get a bottle for $13.99 from Wine Q, and if you are in the WineQ Good Wine Under $20 wine club, it's been added to your Q already) It had a rich, raspberry juice color which reflected its robust character. There were aromas of red currant jam, raspberries and also wet chalk and clay. The raspberries I've smelled before in a wine, and even the chalk--but not that clay note. After smelling the wine the surprises were all behind me and then I tasted pomegranate seeds--not the juice, the slightly powdery mix of seed and fruit together in the seeds. Combined with more raspberry, these flavors led into a juicy aftertaste with a mineral undertow of clay and chalk that kept you coming back for more. It was so different, and so complex, that I have to give this wine an excellent QPR rating. Rosés like this one are a perfect partner for late summer tomatoes. I made a fresh tomato tart (or tarte aux tomates if you want to be French about it) that was terrific. Hint: disregard the 30g of yeast part of the ingredients and just use a single packet of yeast from the supermarket. 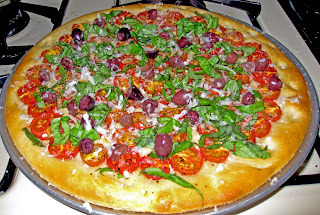 It had a light, biscuity crust and wonderful swirls of cherry tomatoes, oregano, and olive oil. When it comes out of the oven, sprinkle some chiffonaded basil on top, some kalamata olives, and (if you are like me and a cheesehound) some freshly shaved Parmesan cheese. I am so proud of it that I took a picture. The biscuity crust was quite nice with the chalk/clay/mineral notes in the wine, and the pomegranate flavors worked well with the tomatoes. Hang onto the last whiffs of summer while you can. Rosés can help. Today in my column Serious Grape on Serious Eats, I tackle the subject of drinking single glasses of wine. Like many of you, I'm the only drinker in my house. If I didn't open wine unless someone was there to share it with, I'd be very thirsty. And, there is no way I'm downing a whole bottle. I love sparkling wine, and often have a glass while I'm cooking dinner or watching the news. And I find that sparkling wines are actually some of the easiest wines to keep tasting fresh. I drink one bottle of sparkling wine over 5 days--and enjoy the last glass as much as the first. Check out my preferred method of keeping sparkling wine fresh, find a link to the results of Rational Denial's pump vs. inert gas experiment for still wine, and get my current recommendation for a great sparkling wine that costs under $10 in most markets by clicking over to the story. Have a great weekend--and have a glass of bubbly. Seven years ago we were living in London. We got up, sent my sister-in-law off to the airport bound for Newark and went to work in the library. We'd taken a lot of time off to enjoy her company, and decided to stay late until around 7:00 and catch up on some work. We walked the few blocks home, tried to buy a paper. The man in the newstand said "no afternoon papers left, dear." No worries, I replied, the morning paper will do. He seemed puzzled. When we arrived at the flat, my sister-in-law was sitting on the front step. She hadn't been able to get to us inside the library and tell us that she had been sent home just before her afternoon flight was supposed to board. We asked her what she was doing here. Shouldn't she be in Newark? "Do you two know ANYTHING?" she asked us. No, we replied. We'd been in the library all day. We found out about the events of 9/11 around ten hours after the fact. We stood in horror and watched the coverage over and over. For a few days, normally reserved Londoners would hear our American accents and express their sympathy, and the older ones told stories of The Blitz. Some American exchange students across the street hung a flag outside their windows. My sister-in-law remained in London for almost another week in an eerily quiet city since no flyovers were allowed. We went to St. Paul's for the memorial service held by the Queen and the Prime Minister. The cathedral was full of Americans who couldn't get home, many of whom had lost friends or family. It's one of the few times that the Queen was ever seen to cry in public. Can it really be seven years ago? If you are remembering friends and family you lost seven years ago today, I just wanted you to know that I'm remembering that day, too. We all get into them. This summer, my rut was grassy Sauvignon Blancs from New Zealand. I love them. But sometimes, too much of a good thing is still too much. So I turned to fellow blogger Sonadora from Wannabe Wino and took her picks for three summery white wines, thanks to the organizational efforts of domaine547. A while back, domaine547 started asking wine bloggers to put together sampler packs of two or three wines that they would recommend to their readers. This is the third blogger pack I've tried, and so far I've enjoyed them all. It's like having a friend you trust serve as your guest sommelier for the evening. The first wine I tasted from the Wannabe Wino Blogger Pack certainly helped me beat the wine blahs I was experiencing. 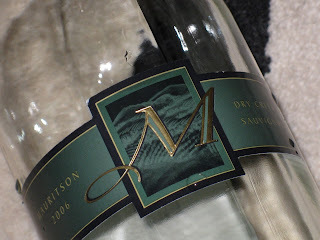 The 2006 Mauritson Sauvignon Blanc was one of the best domestic Sauvignon Blancs I've had in a long time. (around $17; purchased from domaine547 in a 3-pack of assorted wines for $55) First, let's get this straight: there was no oak. It was fresh, and yes, a bit grassy, but not assertively so like a New Zealand Sauvignon Blanc. Instead, warmer melon, Meyer lemon, and clementine aromas and flavors accompany the grassy notes, which were really more like hay than fresh cut grass. This was a nicely balanced wine that I would definitely buy again because it had such excellent QPR. And I warn you now: it is very likely to be on my annual list of wines that will go well with Thanksgiving dinner. We had the Mauritson Sauvignon Blanc with grilled shrimp and lemon-basil pesto. I loved the way the lemon in the pesto picked up the Meyer lemon flavors and aromas in the wine, and the wine's grassy hay notes were very nice with the basil, too. Served with some crusty bread or linuine, this is a fast, after work meal that tastes like a restaurant dish but can be enjoyed at home. Thanks to Sonadora from Wannabe Wino and domaine547 for lifting me out of my wine rut. Now on to the next two bottles of wine in that blogger pack! Wine Blogging Wednesday #49 Announced: What Will You Be Drinking on Election Day? On September 17, just a few weeks before election day and a few months before the presidential inauguration takes place, wine bloggers will be telling America what they will be drinking. That's the theme for Wine Blogging Wednesday 49, hosted by dhonig of the 2 Days per Bottle blog. dhonig lays out some pretty interesting possibilities in his announcement post: "Will it be something to honor the 43rd President, or are you just looking forward to 44? Will it be something from Texas, which Bush calls home, or Connecticut, where he was really raised? Maybe a nice French champagne, a bit of a poke in his eye? Or do you prefer Italian prosecco, since they supported the "War on Terror"? Whatever it is, get ready to lift a glass and toast the end of an era that America will never forget." And Remy from the great blog The Wine Case reminded all of us who are geographically challenged that Shiraz is a city in Iran (which is not too far from Iraq) in his comments on the announcement. I'll be posting my pick for toasting regime change election day and inauguration day on September 17, and if you have a blog you should join in the fun. No blog? Not to worry. You can always post your ideas on the Wine Blogging Wednesday blog. There are wines meant to be mulled over, thought about, discussed, and dissected. This is not one of those wines. It's a wine for drinking when you don't want to mull, think, or discuss. It's a wine for having with pizza while you're watching TV or a movie on the DVD player, or for buying in multiple bottles and setting in the middle of a long, family-filled table adorned with a red check table cloth and big bowls of spaghetti. 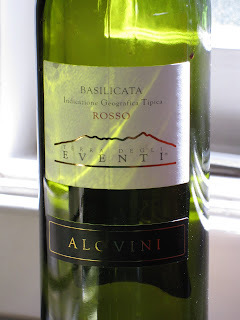 The 2005 Alovini Terra degli Eventi is a good QPR choice if you are looking for a simple, flavorful wine to go with traditional Italian-American dishes. ($8.95, Chronicle Wine Cellar; available online from other merchants for $13.95) This is a wine that can handle tomato sauce--lots of tomato sauce--with its aromas of sour cherry and medicinal notes of clove and spice. Blended from Aglianico and Sangiovese, the wine's flavors echo the aromas and are predominantly sour cherry with high-toned blueberry accents and some hints of baking spices. While this wine will do the business for the price, it's not a highly unique or memorable wine. Italy produces a lot of simple, quaffable reds. They're perfect for pizza and pasta. My rule is, if the wine costs more than the pizza you ordered for delivery you've done something wrong. If it costs less than the pizza, don't think about it too much. Just pop the cork, open the box or pile some strings of spaghetti on your plate, and enjoy. Today in my column Serious Grape over on Serious Eats, I'm talking about the five wine books I can't live without. 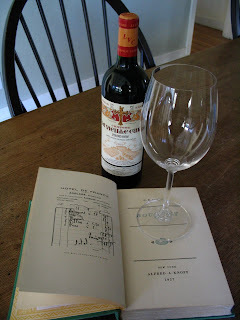 The list includes a reference book, a grape guide, an annual report, a tasting book, and a food and wine pairing book. I'd love to know what you think, and whether I've missed any of your indispensable titles. Head over there and check it out if you are looking to build your own wine library, or seeking some good titles for gifts for wine-loving friends. Also, starting this week Serious Grape goes weekly. The foodies have decided the wine coverage is a good thing, and so I'll be posting there every Friday. Monday through Thursday, it will be as usual here at GWU$20. Have a great weekend, and see you on Monday with some more wine picks. The people of the region are known for two things--their deep faith (they've had more earthquakes in this region than in most, so that faith has been tested), and their ability to resist the attempts of their more powerful neighbors, pirates, and invaders from the sea. In the 18th century, a bandit named Angelo Duca lived in the hills of Basilicata, robbing from the rich and giving to the poor and earning himself the heroic reputation of an Italian Robin Hood. As regular readers know, I'm drinking my way around Italy this year, hitting all the regions I can before 2009. It's already clear to me I'm going to want to continue discovering great Italian wine next year, and finish up with the remaining 9 or 10 that I won't get to in 2008. (photo "Flowers on Second Floor" by kirtaph). This month I'll be drinking some of Basilicata's wines to see if they have the same rugged individualism as the land and the people. Basilicata has no indigenous grapes. 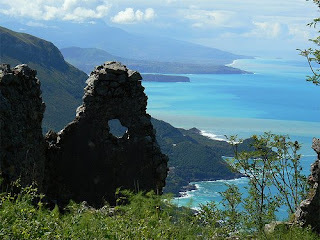 The Greeks brought over Aglianico--a corruption of Hellenico in the local dialect--and began planting it around Mount Vulture. It spread from there throughout the region, and today Mount Vulture remains a center for viticulture in the region. I've got a red (with Aglianico in it, of course) and a white (wait until I tell you about that--it's made from varieties that may surprise you). As I learn more about the wines of Basilicata, I'm struck by the range they represent from the simple and unpretentious to the elegant and quirky. 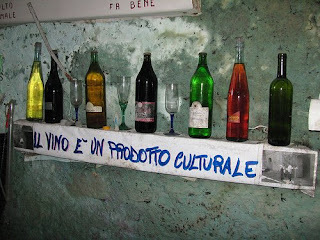 ("Wine is a Cultural Product," by jntolva. You can read about John's trip to his ancestral homeland of Basilicata on his blog--it's a terrific story, full of the wine, food, places, and people of the region). This is my first foray into the wines of Basilicata, so if you have any tips to help me and others on this journey of discovery, please leave them in the comments below. Burgundy and "budget friendly" don't usually appear in the same sentence. So imagine my surprise and delight when the white Burgundy I bought for a little over $15 turned out to be an excellent QPR find. I bought my bottle from Chronicle Wine Cellar for $15.95. Expect to see it in your neck of the woods for between $13 and $30. And I have to say, even if you pay around $30, you probably won't feel you've been ripped off--which is a testament to the QPR on this wine if you pay under $20. The 2005 Vincent Girardin Cuvée Saint-Vincent Chardonnay came from a great vintage in Burgundy, and is made by a great maker. 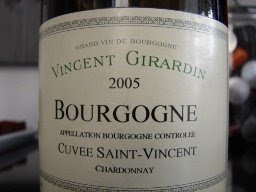 I've had a number of Girardin wines, most from his second label and all red. But this was one of those wines that actually makes you understand how great Chardonnay can be when people just leave it alone and let it be itself. There were crisp aromas of apple, stone, and sea salt that were very fresh and enticing. The apple notes carried through the flavors, and the aftertaste turned butterscotchy and rich. But the wine was never heavy, oaky, or clumsy. It was nicely balanced, and very well made. This is one elegant, classy wine that is still fun and not too profound. If you liked Katherine Hepburn in The Philadelphia Story, I think you'll like this wine. Give it a try even if you normally sniff at Chardonnay. You won't be sorry. I'm pleased to announce that I'll be hosting the 5th edition of the Wine Book Club, the online book club for wine lovers who also love to read. Remember those days of sitting in undergraduate lectures and listening to a professor talk about their subject of expertise? Well I've started the book, and I feel like I'm learning about wine and politics from a very talented teacher who knows a lot about his subject. Don't have a blog? Post your review on the Wine Book Club site in the comments section for this announcement post, or on Shelfari, or on the Discussion Board for the Wine Book Club on Facebook. You can also leave a link in the comments to my review, which will of course be posted on October 28. 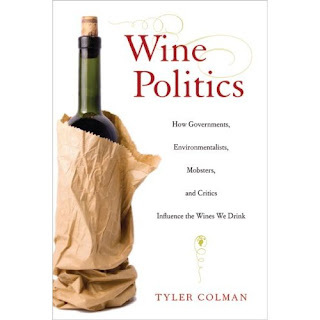 I'm hoping a lot of bloggers, and fans of wine blogging, turn out this month to read Tyler Colman's book. And be sure to check out the roundup of responses to Jancis Robinson's book from Wine Book Club #4, now that Farley's back from vacation, on Wine Outlook. 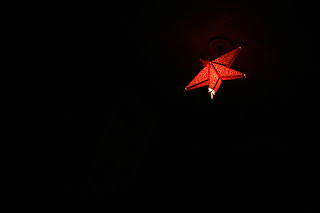 Wishing you and yours a pleasant and restful holiday. And a personal thanks to all the hard-working wine bloggers out there who don't make a living doing this--they just do it because they love to communicate about wine. May your wine cellars always be full, your computers always be up-to-date, your readership be ever increasing--and may your real job continue to pay the mortgage so you can continue! recommended GWU$20 as one of five blogs to have "carved out smart and focused niches in the wine web" in the March 2008 Food and Wine Magazine. according to Tyler Colman in Wine & Spirits Fall 2007 Special Issue. If you are commenting on a post please do so by clicking on the comment links included in every post's footer (just to the right of the share buttons above the date stamp). If you need to reach me for some other reason, I can be reached at goodwineunder20 (at) gmail.com. For my tasting policy, please click on the "view my complete profile" link above before sending an email. All wine ratings are subjective. On this blog, I indicate QPR (quality to price ratio) for the wines I review rather than using the familiar 100-point scale because it better reflects my interest in a wide variety of high quality, reasonably priced wine. Here is how I evaluate the wine I review: Excellent QPR is used to describe a wine that has strong varietal characteristics and an attractive price point for that varietal. Very good QPR designates a wine with strong varietal characteristics and a less attractive price point for that varietal OR moderate varietal characteristics and an attractive price point. Good QPR designates a wine that is average in varietal characteristics and price point. Poor QPR designates a wine that is not a good quality for the price paid, because it lacks varietal characteristics and/or demands too high a price for the wine it delivers. If you want to see a 100-point scale score generated by the tasting notes of ordinary wine drinkers (including me), check out Cellar Tracker! Have you reached a Wine Century? This work is licensed under a Creative Commons Attribution 3.0 License.